Operation COFFEE, TEA, OR ME? After taking a two month reprieve from the world of Christian Alternative Media, I have decided to explore the world of 9/11 Truth-tellers. It has been many years since I have gone through the internet articles on this subject, but as I recall, everyone, no matter what theories they present, considers themselves to be part of a “Truth” movement. The September 11, 2001 attack on American economic and military iconic structures represented layer upon layer of criminal acts involving treason, murder, property destruction, guile and the mockery of justice and judgment. The complexity of events on that day reflect a sort of mad genius as it affected the three levels of our world: the physical, the spiritual realm, and that of the human soul, itself. In the world of the occult sorcerer, this type of mastery is rewarded with a Triple Golden Crown representing the rulership of those three levels. In truth, however, what was planned and executed was nothing to boast of, but represented the evil machinations of a coordinated group deserving of justice and a severe judgment. I am going to start my 9/11 journey at the McGhee Tyson Airport, which is a public and military airport in Blount County, Tennessee. Why here? Well, the first topic I want to consider involves Rebekah Roth and her radio co-host and husband, RamJet. And when I went to the internet to try to decipher what the letters in their self-publishing company, KTYS Media stood for, the only thing which popped up was the ICAO(International Civil Aviation Organization) airport code KTYS for the McGhee Tyson Airport. It is one of those odd coincidences, in that I have done several posts connected to this locality. But let us head on out from here to Las Vegas, Nevada where KTYS Media presumably had its start. Rebekah Roth is the pen name of a woman who claims to have 30 years experience as an airline stewardess and international purser. She refuses to provide any proof, and says she worries about those nefarious three digit government agencies discovering her true identity. As usual, they already know who she is and where she lives, and it is the rest of us who are left to search the net for clues. Both husband and wife are fiction writers who have based their books on their personal experiences. They self publish under the company, KTYS Media. I could not locate this business name in the Nevada Secretary of State business entity online records, even though this company claims it was located in Las Vegas. No one seems to know what KTYS stands for. So since we are about to take a flight of fancy involving the unprovable bona fides of Rebekah Roth’s airlines career, and her husband has a Facebook page called RamJet, which uses the aircraft photo above, let us see what KTYS Media is all about. KTYS Media has designed their logo to highlight their name in a black, feminine script with a red heart motif supported by the letter Y. These letters are on a white background with a red border, overlaying a black background. Underneath, KTYSMedia claims to publish “Books that Invoke a Change of Heart or a Change of Mind“. The only book this website links to is Methodical Illusion, written by Rebekah Roth with a publication date of November 3, 2014. 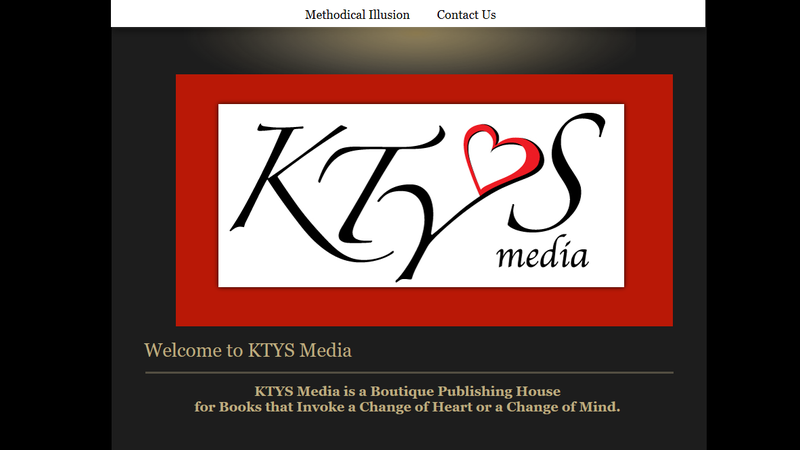 However, the website for KTYSMedia.com was created on January 22, 2010, almost 5 years earlier. On June 18, 2010 this Boutique Publishing House published a book called Windsweeping by Michael A. Harris. The description of this novel at Amazon.com says, Windsweeping is driving a high performance vehicle with no particular destination in mind and absolutely no time constraint beckoning a return. It is accomplished with a rather eclectic selection of music playing in the background as the experience evolves into the arena in which ideas are born, decisions are made and life is allowed to be filtered through an ambiance of solitude. Following the death of his mentor, David Jarvis goes Windsweeping in an effort to put his life back into perspective. Only this Windsweeping excursion isn’t like anything he has ever experienced. Ultimately, he understands that men do not inherently know how to love and he welcomes an invitation to be taught all the dimensions of love by a woman whose gifts transcend time and space. Learning how to love others alters every aspect of David’s life and eventually leads him to recognize the woman of his dreams. Windsweeping is a love story every woman will embrace, but it is written from a man’s perspective allowing all men everywhere to finally comprehend what the women in their lives have been trying to instill in them long before they were even born. In a video promoting his book, Michael Harris tries to display a casual sophistication which is appealing to women desperate to have a real conversation with a man. He does not appear to fit his image of himself as a macho RamJet; however, he does manage to get 11 five star ratings from his eleven groupies on his Amazon.com book page. In an article dated December 24, 2015, TruthRadioFrequency.com posted an expose by someone named Luckee 1 entitled, THIS IS TRUTH FREQUENCY! SCAMMERS WILL BE EXPOSED. The scammers are none other than Rebekah Roth and Michael A. Harris. This article reproduces a partial copy of an About Michael A. Harris page from freado.com/read/7572/windsweeping, which now cannot be found at the original site. What was stated at freado.com about the author of Windsweeping is this: Michael grew up in the San Francisco bay area in the late sixties and early seventies. He worked for a miniature golf course company through high school and during the summers in college. That job allowed him to travel throughout California and Arizona and instilled in him a love for driving alone on long lonely stretches of road. He holds a bachelors degree in Political Science and received an MBA from Arizona State. Most of his career centered in the creation and development of software companies in the state of Washington. He speaks fluent Finnish and would welcome any conversation in that unique language. He is married to KoreAnn and has five grown children and a cat named CeeCee. His passion is to write and windsweep the rest of his life. It appears that this is a second marriage for Michael Harris and for his present wife, KoreAnn, who had been previously married to an Iranian man. 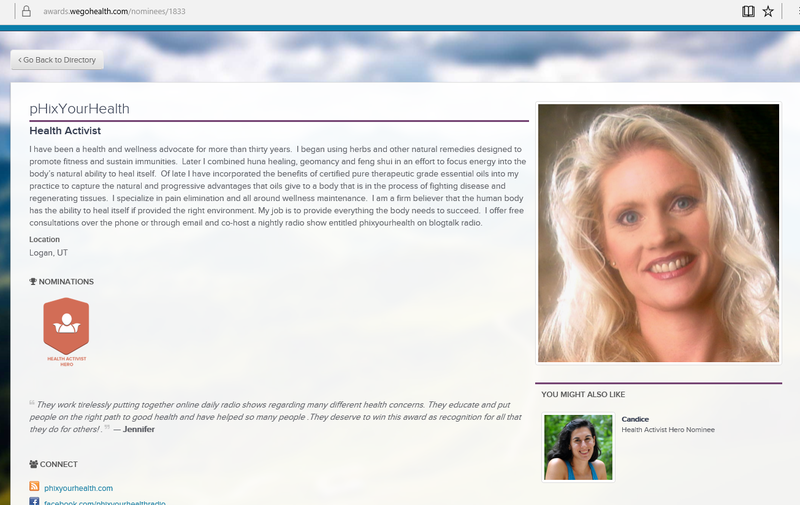 At some point the Harrises entered into a venture selling essential oils and had a website PhiXYourHealth.com which they created on March 14, 2013. They produced some videos to sell their products, displaying the photo shown above of Michael A. Harris and someone named Monika Gainor, who has the same voice as Rebekah Roth. 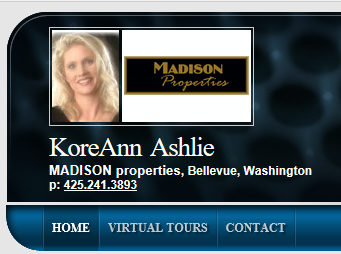 This same photo also is displayed elsewhere as representing KoreAnn Ashlie, who held a real estate broker license #79620 in Washington State which was first issued on Nov. 12, 2004 and expired Dec. 25, 2009. After Rebekah Roth began promoting her 9/11 based novel Methodical Illusion via numerous Alternative Media radio hosts, some began to question her multiple identities and credentials. One of the best of these investigations was done by Kurt Richard Haskell who published this expose on his Facebook page. In addition to exploring the question of whether Rebekeh Roth ever was an airline stewardess as she claims, Haskell takes the reader through his various findings on her many aliases. Kurt Haskell makes an interesting observation about Michael Harris, the husband of Rebekah Roth AKA Monika Gainor AKA KoreAnn Ashlie/Harris AKA Sara, etc. etc. Windsweeping, as well as the Methodical Illusion series, are fiction based on the author’s real experiences, and we are left to our own devices trying to discern fiction from fact. Haskell comments, “Michael A. Harris talks about how he developed a software program to determine if people are lying by compiling all data related to them. This sounds like something the CIA/NSA would do and by his own words the book is based on real events”. Rebekah Roth makes reference in her first novel to her husband’s book Windsweeping and to the essential oils products they sold. I cannot understand why she claims she is safeguarding the identity of her family by using a pen name, when she herself reveals verifiable links to her family. There does not seem to be any proof that Rebekah Roth spent 30 years as an airline stewardess and international purser, although several persons have requested such information from her. So if her bona fides are a figment of an active imagination, and she has a history of using multiple identities, perhaps all such data should be analyzed by her husband’s software program to determine if she fits the profile of a Liar. In addition to writing 3 novels, Methodical Illusion (November 3, 2014), Methodical Deception (August 28, 2015), and Methodical Conclusion (July 12, 2016), Rebekah Roth offers subscriptions, the highest membership costing $75/year, so that one can gain the “privilege” of going behind the scenes to her Behind The Galley Curtain where insider information, including daily morning news commentaries by her and RamJet can be heard. These marketing geniuses have not only offered their 9/11 theories for a price, but they have priced the Kindle copy of her book at $9.11, which is certainly an indicator of the lighthearted approach they take to that infamous day of injustice. Rebekah Roth was subject to several exposes by Alternative Media radio hosts and stations at the end of 2015, but here we are almost a year and a half later, and certain radio hosts still have her on their shows, without addressing the peculiarities of her personal story. Who endorsed her first book in the beginning, lending credibility to the Rebekah Roth façade? Why Douglas J. Hagmann and John B. Wells, of course. These two men are also known for coming to the aid of Mike Kerr AKA Mike Whitestone, who also had a reputational problem. And then there was that promotion by these two radio hosts of that fraud known to most as V-the Guerrilla Economist. The written endorsements, can be found at readroth.com. As seen below in the second endorsement, an anonymous pilot gives is afraid to give his name. What kind of endorsement is that? But the most interesting endorsement is the first one. This first endorsement is from Barbara Honegger, former White House Policy Analyst and Dept. of Defense Sr. Military Affairs Journalist 2000-2011. Barbara Honegger has quite a long and distinguished career in the public eye. 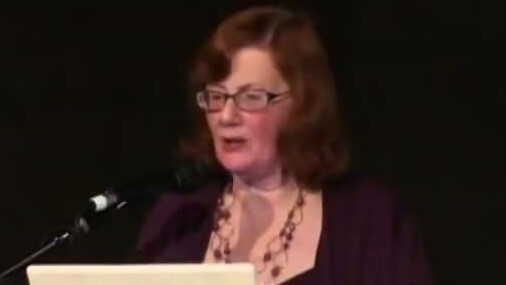 Here is a photo of Barbara Honegger as she gave a speech in recent years on 9/11 in Seattle. When I compared the above two photos, I felt prompted to ask, has Rebekah Roth colored and styled her hair, chosen a similar red lipstick and a similar eye glass frame so that she looks like Barbara Honegger? What happened to the blond Monika Gainor/ KoreAnn Ashlie look? This woman is a Mistress of Disguises. Perhaps she wants you to subconsciously place her on the same level of expertise as Barbara Honegger. Rebekeh Roth hides her 9/11 theories in a fictional format, to exempt herself from footnotes and other research paper requirements, and refuses to provide evidence of her bona fides; yet she claims that she is a 9/11 expert. On this flight of fancy, it appears we cannot get a decent cup of coffee or tea, only the “me” of a fictional stewardess story. Go read the “Look Inside” pages of Methodical Illusion at Amazon.com. What you will find at the very beginning of this novel is a racy portrayal of the life of airline stewardesses and pilots. 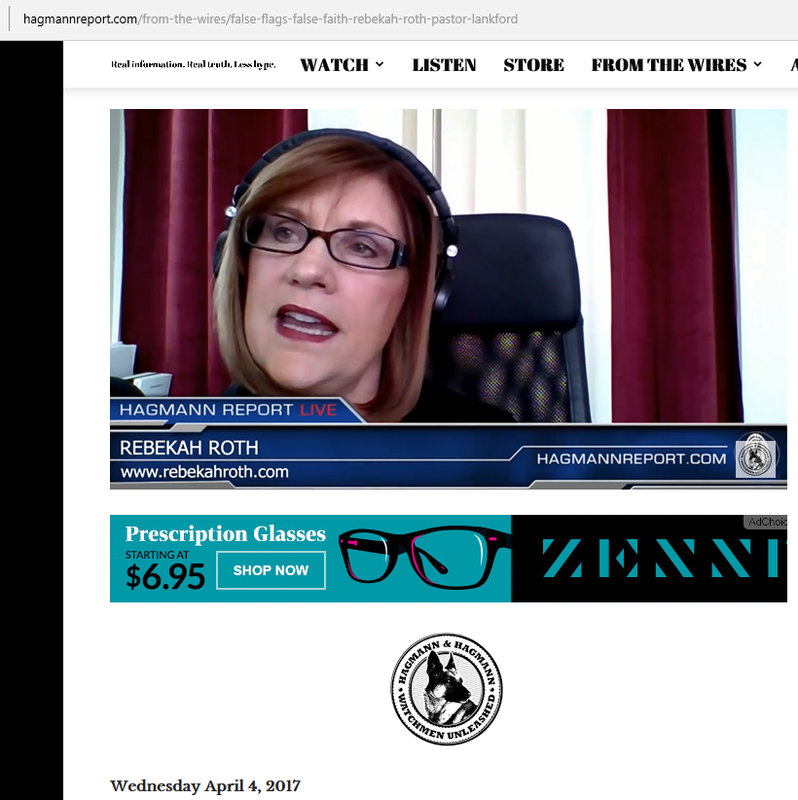 In the next post I am going to review the April 4, 2017 Hagmann Report video interview of Rebekah Roth, and listen to what she says. I listened to this entire interview, and most of what was discussed was generic, open sourced material. Jon the Hollywood Insider did relate a few personal experiences, and said that he lost his $100,000/year job because he openly spoke to another employee as a Christian. At the beginning, Jon intersperses this interview with Scripture, and a shofar blowing; at the end he brings on a man singing A capella. Overall, my first impression of Jon Robberson is that he is friendly, kind, and has a sense of humor; yet because of his close association with this Inner Circle of Trust, I distrust my first impression. This interview takes place at the American Survival Wholesale warehouse using their cell phones, because Jon is “under threat”. We also discover that Jon was at the Whitestone Remnant Conference, and has been to Paul McGuire prayer meetings, so he seems to “get around”. Of great interest is that Jon Robberson is credited with coming up with a solution for Hagmann and Hagmann listeners who desire to have a way to meet each other personally. Apparently he uses his email H&H Connections @startpage.com for this purpose. Below are two forum members who made comments on this subject on March 14, 2015, more than two months prior to The Hollywood Insider’s first Hagmann interview. 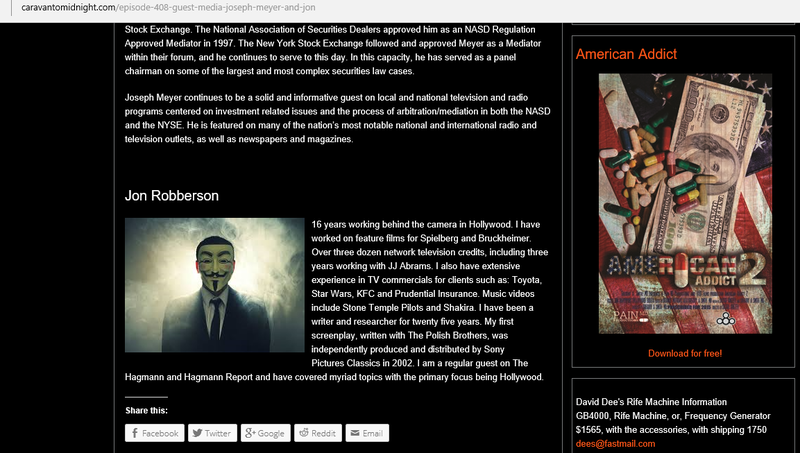 At some point Jon the Hollywood Insider allowed the use of his surname Robberson to be used, and we see some confusion with this transition on the Caravan To Midnight website, where three past interviews can be located under his surname, yet the guest listing shows Jon listed under “J”, with his photo shown as the anonymous masked man of the movie Vendetta. Episode 408 does show his full name, but still retains the Guy Fawkes Mask from the movie Vendetta. It would appear that this photo was taken from an ad for wallpaper, and as fans of the Caravan To Midnight show know, they can purchase the CTM logo as wallpaper. 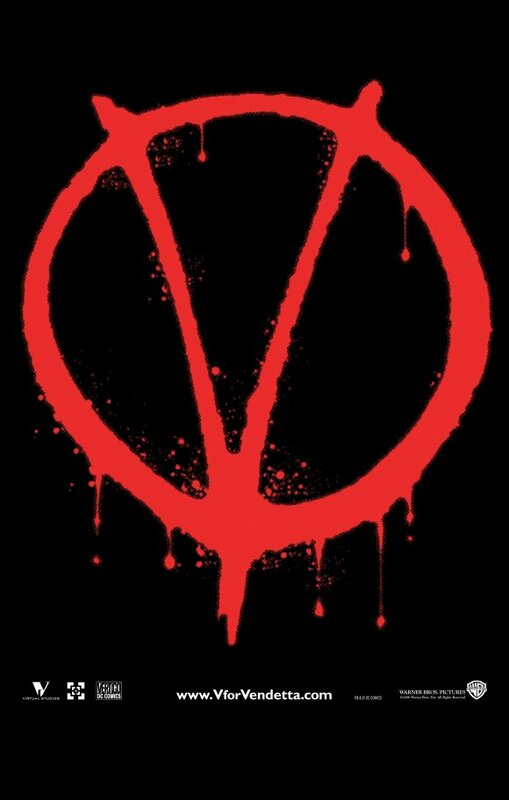 Readers of this blog will recall that V the Guerrilla Economist displays the Vendetta Symbol taken from the same movie. And the recent infamous hackers which called themselves Anonymous also favored this Masked image. As this article taken from the Business Insider.com website explains on October 3, 2013, 13 Members of Hacker Group ‘Anonymous’ Were Indicted On Federal Charges. Given that Christians are not to give the appearance of evil, I wonder how Jon the Hollywood Insider can justify the masking of his identity in this manner? In September of 2015, The Watchmen’s Cry held a revival/worship/prayer meeting in Sandpoint, Idaho which was deemed successful. This meeting had no door charge, was sponsored by Nathan Leal’s ministry, and had an offering at the end as a means to offset costs. This meeting, which was very similar to many church sponsored revivals, somehow sparked a vision for the 2016 Hear The Watchmen conference. Since we are here discussing the evolution of Jon Robberson, from the anonymous Hollywood Insider, to an openly named Conference Speaker with such “worthies” as the Hagmanns, John B. Wells, Paul McGuire and others, we must question this whole process. At first, John Robberson had to hide out at the American Survival Wholesale warehouse, in order to give his first interview with Doug Hagmann, because he was under “serious attack”. Supposedly he was under threat not to talk about what he knows. 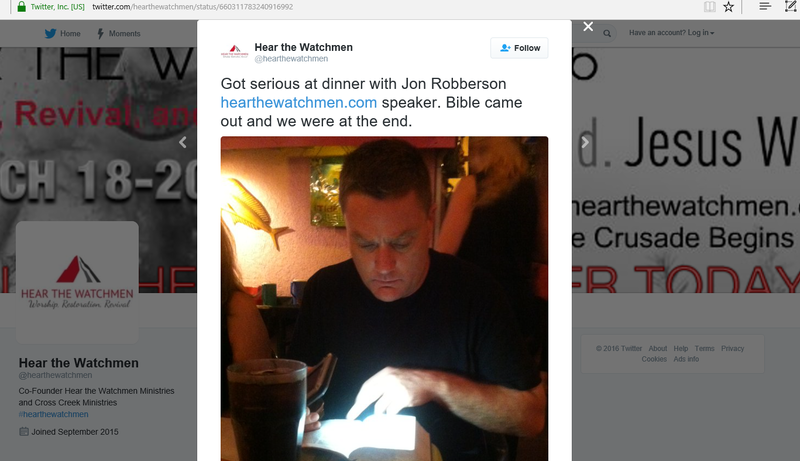 Not long after that, he is traveling under his full name and he has become a conference speaker being groomed by Mike Kerr AKA Mike Whitestone, the organizer of the Hear The Watchmen conference, who has a shady past. The Sandpoint, Idaho meeting was free; this latest conference fee stands at a little over $100, unless you obtain a half off coupon. The first conference was entirely centered on worship and prayer; this latest conference centers around radio hosts and book sellers, and the inner circle of trust of the Hagmann/Quayle alternative media group. Now after V the Guerrilla Economist was invented, and heavily promoted by Steve Quayle and Doug Hagmann, there was a point when he was “disfavored” and left the inner circle of trust. Because his bonafides cannot be substantiated, he remained anonymous and created his own website and radio show. But here we have someone who also came onboard as an insider being interviewed by Doug Hagmann, who despite “threats” is now being made over as a conference speaker, and a book writer. All Roads Lead to Babylon?? It sounds like The Hollywood Insider has come under the spell of book writer and conference speaker, Paul McGuire. 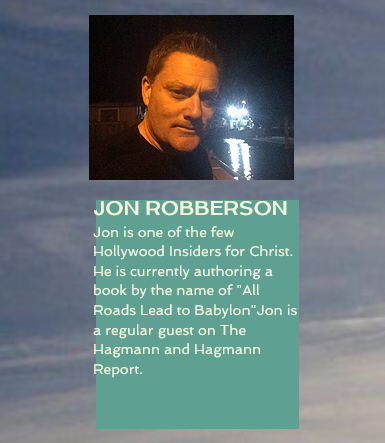 The Hear The Watchmen webpage says of Jon Robberson, that he is one of the few Hollywood Insiders for Christ. So what? How many real Christians are there in any profession? There are plenty of job occupations that are essentially “closed shops”, where the employee is under constraint as a Christian witness. 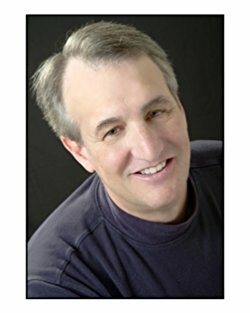 Remember that Doug Hagmann told his listeners that Jon Robberson, while working in Hollywood, “covertly, and surreptitiously snuck around…looked, watched, kept notes, kept tabs on people, places, events. He knows where the bodies are buried…”. Are you sure that you want to give your personal information to Jon Robberson as part of the arrangement for being allowed to meet other Hagmann listeners via H&H Connections? 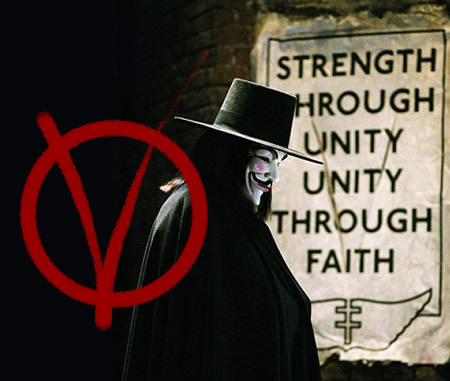 While looking over the imagery of the movie Vendetta, I found this image of the Vendetta Symbol with the Masked Man standing in front of a poster which says Strength Through Unity, Unity Through Faith, showing some sort of double cross at the bottom. Why is it that Nathan Leal and others spend so much time analyzing the image motifs of the Super Bowl, and ignore the imagery displayed by the “Christian” Alternative Media? 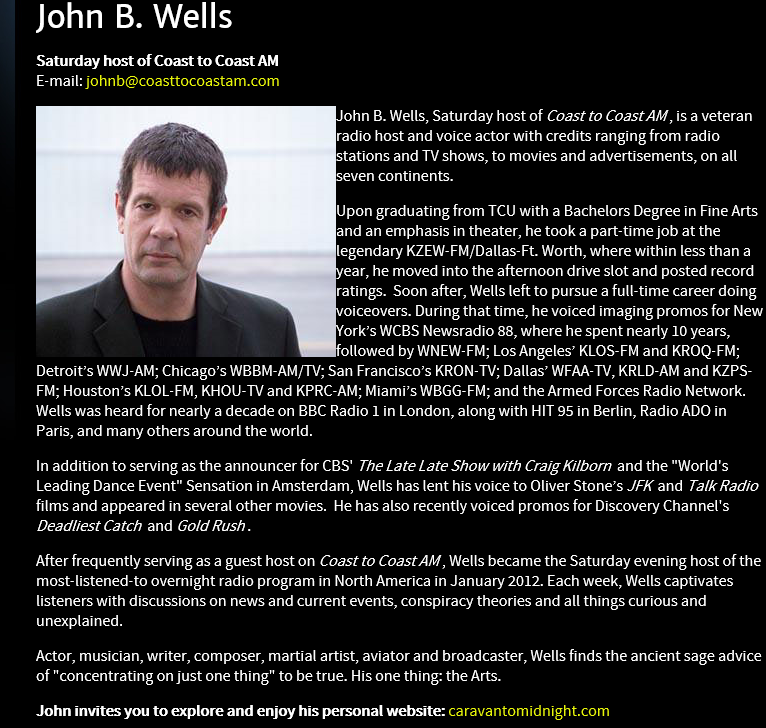 One of the Hear The Watchmen conference speakers is John B. 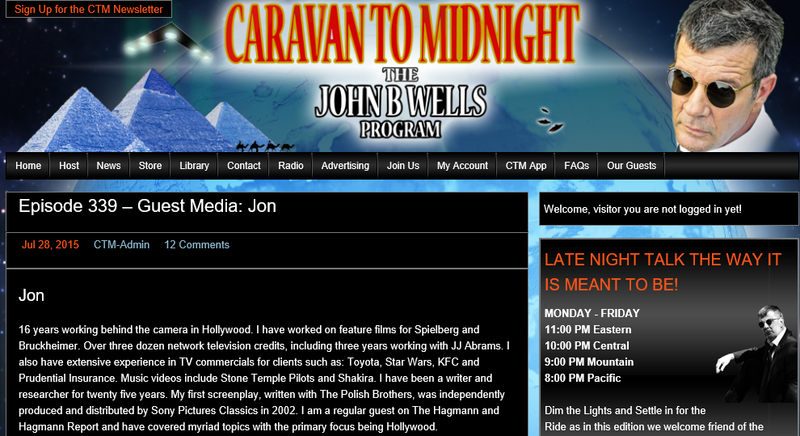 Wells of Caravan To Midnight.com, who formerly was the Saturday host on Coast to Coast AM.com. On his home page he is offering a $50 off coupon on the upcoming March, Dallas conference, plus a chance to win a drawing for a dinner for two with JohnB and crew. Looking over his website, I had been unaware before today, that he sold heirloom seeds, packaged food, electronic filters, a Soladey tooth brush, water filtration, radiation detection, a radio frequency detection meter and shield, shirts, hats, cups, a mousepad, a keychain, stickers and ten books. After becoming used to the same old repeat guests on the Hagmann and Hagmann radio show, I was impressed with the number of different guests which John B. Wells has interviewed. However, to listen, one must become a subscriber at the rate of $5 per month. One of the interesting features of the Our Guests Page of Caravan To Midnight is that currently 62 men and women on this extensive list have been knighted and given the title of Sir or Dame. 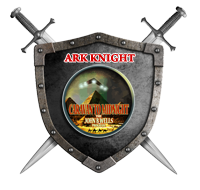 A shield reading ARK KNIGHT with two crossed swords and the Caravan To Midnight logo is displayed to the right of the recipient’s short biography. Of interest to us in regard to the Hear The Watchmen conference is that in the beginning, the speaker roster included John B. Wells and four of his knights: Nathan Leal, Dr. Ted Broer, Doug Hagmann and L. A. Marzulli. As we learned later, Nathan Leal went public with a controversy he had with Dr. Ted Broer, who had appeared on the Hagmann Report radio show, regarding his perverting of the gospel by New Age ideas. Then these two men were removed from the roster of speakers, causing a rift between the supporters of Leal with the conference organizers and Hagmann, Lankford and Quayle. Pastor David Lankford, who has not been knighted by John B. Wells, then discussed the Leal matter on the Hagmann Report with Sir Steve Quayle, who is an ARK Knight. Presently the ARK Knights which are speaking at the March Dallas conference are Doug Hagmann, L. A. Marzulli, and Josh Tolley. Guests on the John B. Wells show which did not make knighthood include Paul McGuire, Mike and Jeanie Moore, Joe Hagmann, Michael Boldea, Jr., Pastor David Lankford, Russ Dizdar, Billy Crone, Gregg Jackson and Sheila Zilinsky. However several in this group did speak in a Roundtable Discussion led by Sheila Zilinsky, explaining their “vision” of what the up-coming conference would entail. On February 3, 2016 John B. Wells celebrated his second anniversary of his Caravan To Midnight program, by bringing on Sir Douglas Hagmann as his first guest. At the 14:34 mark of this audio, they discuss the Hear The Watchmen Conference. John B. Wells: Doug, I want to get into something that may be a little bit uncomfortable and I ah defer to you ah by saying that. I mean, you’re the last guy I’d ambush with something on this but I gotta tell you, I’ve got some concerns over the Hear The Watchmen conference. I want to discuss them with you. JBW: How many names does Brother Mike have, exactly? DH: Well, to my knowledge there is only one. JBW: That is what I’ve been thinking. But he seems to have more than one. DH: Well, are you I mean, if you’re talking about internet presence or handles or whatever you know, I don’t know..I mean I’ve got Hagmann PI for example for Skype and for other things. But in terms of legal names, I’ve only heard him use one and seen him use one, uhmm correct me if I’m wrong. JBW: Well, you know I’m going to be there no matter what, unless I get kicked off the program which is, that remains to be seen, but here’s the thing. JBW: I know that Nathan Leal was cross with Ted Broer. JBW: And look, this is a closed deal. I am not talking with anyone who is not aware of this. We got a lot of people that are coming to Hear The Watchmen and here’s the thing and I’m saying this. I’m not trying to be like Mr. Lilywhite here, but it doesn’t matter to me if I have one member of the Caravan, and I’m going to be honest with them and I don’t want them walking into anything. I don’t want them to be disappointed, I don’t want to wonder ah, ah, I don’t want them to question the validity, the integrity, the veracity, of what we are trying to do here. This is effectively a spiritual revival. Now we are not going to play with snakes or any of that. I mean that’s what this is. And then Nathan took exception to Ted’s combining of what he perceived to be um what parthianism or something like this- pantheism- that’s the word I’m looking for, and uh by the time it’s all over with, Nathan is gone. Then I saw this letter from John Little. JBW: Then I watched the interview with Pastor Lankford and Stephen Quayle. I don’t know Lankford, but I know Quayle well enough and ah they didn’t use his name but it’s pretty obvious that they were talking about Nathan Leel, or Leal, so here’s the thing. Has anybody, has anybody thought that the enemy Lucifer, Satan, Beelzebub, or whatever, he’s got a bunch of names too. Has it occurred to anybody that the enemy would like to destroy this? Has it occurred to anybody that the enemy which exists as surely as the Holy Spirit, has it occurred to anybody that we should as Little pointed out in his article, go to the aid of our brother in Christ and straighten this out instead of excoriating him like that? I mean we are under assault. Yeah, you people think you’re just going to get together your little revival and everything and it’s going to be fine. You think the Devil’s just going to sit it out. He wants to kill your A-S-S. That’s what he wants. And if he can’t get that, if he can’t overdose you on heroin then he’ll settle for getting you in prison for ten years for selling it or buying it or being seen with someone who has it, and then maybe you can be sodomized in prison. Oh that might be a real delight for the enemy. So when we put together our little hand holding revival, do we really think that we’re going to be free from assaults? And I gotta tell you, I like Brother Mike; his wife makes some damn good toffee. But I’ll also tell you this, I’ve looked back through some of the things which have been written about him including Orange County publications, and I’m not really liking what I’m seeing. On the other hand, you’ve said yes I’ve had kind of a rough ride here and there; life’s been rough in spots. I gave my life over to Jesus and it’s OK. It’s like well that’s fine, but it’s also written in scripture that that doesn’t clear you of the consequences. So what do we do about this? Where are we, Doug, seriously? DH: Well, if I can speak about Mike..
JBW: Speak about anything you want. DH: And I’ve not talked to Mike, the conference organizer, or Jeannie about this – we didn’t script this so, let me be perfectly frank with everyone and up front and honest. Umm the ah OK, for those people who don’t know what we’re talking about, then don’t worry about it. It’s, it’s for those people who do. Umm those of you I’ll address in this fashion ah we had , we had a situation where Ted Broer came on our program and used some New Age terminology and Nathan Leal took exception to that, OK, fine. Umm that whole, that whole thing has been, in my view, has been handled. But what has come the, the fruits of this, has come up about this is Mike, the conference organizer has ah, ah, and I didn’t know this until I received an email about this had some issues with organizing conferences, OK. There were some nasty ex-wife and nasty ex-husband and someone else involved that really lit him up in the media in Orange County, about conference organization. And this is back before he was saved. So, ah what this is my understanding, OK, what my understanding is this. Mike and Jeannie had, Mike wanted to make right the reputation, his reputation, and he went into this conference planning with that understanding above board, look I want, I want to, he said I want to clear my name. I want to make right with this. I want to have a conference that’s free of any kind of umm BS, free of any controversy. And he enlisted um some people uh to help do that, in fact one of the very names I mentioned that is no longer part of the conference- Nathan Leal- it’s my understanding is that’s how it was. You know, look help me, let’s do this conference and bring some good people together. Help me clear my name but in so doing, help, let me, um..let’s give the people who are coming this spiritual revival and informational conference. Well, apparently eh eh something went sideways when, when the scheduling, when the formatting of the conference was not to other people’s liking. And that prompted the ah, they ah, this mass emailing of Mike’s past. When that was already decided. When that was already known to individuals- certain individuals, in my understanding, key individuals, said look, I’m doing this, Mike’s saying I’m doing this not just for the event, but also to clear my name. Yet that information, John, was weaponized. That was weaponized against him. Now I’m not apologizing for Mike’s past, but I’ll say this. I asked him directly when I first got that email. I asked him two questions: I said Number One, Is it true because I, you know, I can go and find out myself. And Number Two, do you have oversight? Outside of yourself and Jeannie and such, for to make sure that rooms are paid for and the money-the accounting of all the money. He said yes to both. And the third question, the last question that I asked him, would you allow the oversight you know to make sure that no one is hurt. And he said sure, so the bottom line is this, after all this crud uh, you, Gregg Jackson, others uh, uh Pastor Lankford, we’re all going to be there, Russ, we’re all going to be a part of this conference as invitees. Umm, we, I mean, boy, what am I going to say, we did not plan it. You and I didn’t plan this, we were invited to this, that’s our level of involvement. But we have to trust the very people who are organizing this. Can we trust them? Absolutely. Are we going to deliver a great product? Absolutely. But what you said too when something is organized that has good in it, it’s always a target to those people who want to tear something down. But see the bottom line here is what I really really, what is distasteful to me is people who insert themselves into a controversy. And they exacerbate the controversy only for their own gain while look, somebody will say, I am protecting the flock and then they will insert themselves into the controversy only to exacerbate the situation and further..
JBW: A case could be made for me doing that right now, but I’m OK with it because I’m somewhat of a confrontational person. I don’t just let it lie there, because it will get worse if you do usually. DH: Well you know, we haven’t even addressed this on our program only, because, so you’re getting my first viewpoint from me but here’s the situation. I think uh uh at the end of the day, this conference is going to be good. I really believe for everyone involved it will be beneficial to the people coming. It’s going to be great- great speakers like yourself and Gregg Jackson and L.A Marzulli, Russ Dizdar’s going to be there. So many great people. It’s going to be beneficial. Yeah there are going to be people tearing this down and, and before hand and after, you know, and during or up to the event itself. So you have to look at it from a couple of different directions, but the bottom line with me is, folks, what you think you know about any controversy, trust me, you don’t know it all. There’s a huge back story and people are trying to use you and game you and it’s it’s all at the end of the day It’ll all come out, but ah you know. So I, it’s going to be a great event. I’m looking forward to meeting you. I’m looking forward to meeting with Russ and meeting Greg Jackson and everyone on that list, so it’s going to be a fun time. And it’s an informational time. I’m really looking forward to it. I hope that answers your question. But I don’t know if I’ve been all your question. I don’t know if I’ve been all over the place but, or if I caused more..
JBW: No, no you didn’t. It’s like I ah you know it’s a sad thing about facing your giants. I don’t want anybody walking in to anything, I don’t want to walk into anything, I want to walk into stuff with my eyes open and knowing what I’m walking into and so if there is stuff whirling around, I either want to validate it or quash it. One of the two. JBW: But I mean there, there’s stuff that’s been levied against Brother Mike because the latest thing I’ve seen is 2010. Course now that’s six years ago. So like you say anything can be weaponized, I mean ah oh well he didn’t pay a parking ticket or whatever you know. I think we know how media in general can blow things up. It makes you wonder sometimes what would be the media’s interest including NPR in trying to put Mike on the spot. You have to wonder what’s the motivation behind that. DH: Oh, yeah. And, and you know, look I think that anyone , anyone of reasonable sensibilities would look at something like this and say well, gee whiz, what’s going on, with you know, the ah, conference organizers of the conference had some pretty bad conferences and allegations levied against them. What’s the deal? Well, how are you going to change that perception if you are not going to someone who you trust and say, look I want to change this. This is a hatchet job, I want to change this. Let’s do a Christ conference. Let’s have everything above board and let’s really put together a great conference and then only to have that information, that confidence breached, by someone you trust? Come on man! Weaponized against you? You know so many __(?) yeah there are, and I’ve told privately Steve Quayle I’ve interviewed people, I’ve interviewed inmates in Attica and Rikers for my job and let me tell you something ah from what I’ve seen from some people, I’d much rather at least going into Attica and Rikers, I know what I’m dealing with. DH: OK, ah some of the people who proclaim to be forgiving Christians who have their ah email and some of the emails I’ve gotten are the most vile, vicious emails I’ve ever seen but having said that at least I knew what I was going into but but the problem with people is that they look at, take someone’s word for it. The internet is the Wild West. Take your.. Here’s what I’m writing, well check it out. Yeah, if that one slice of information and this goes for anything whether it’s Oregon or the conference or it doesn’t matter, they take a slice of information and they build their own perception from that and in the investigative world that that I’m involved in, that’s called really kind of a paralysis of analysis. You look at just one little slice of something and you make decisions based on their perceptions, you have based on that. Man that gets you every time; so widen your perspective, take a few steps back, think about rationally, about it, and then go forward. So.. 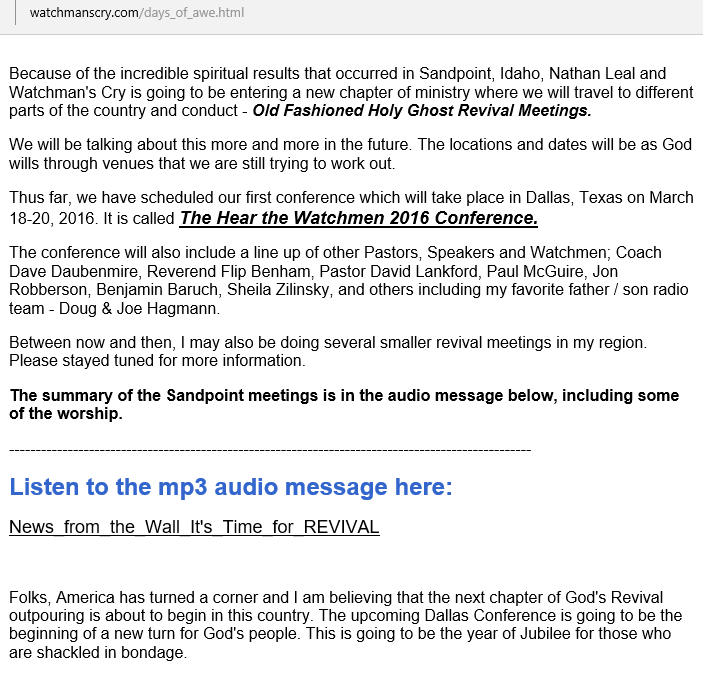 Here are my comments on just a few of the Talking Points of this rather obscure discussion of the problems surrounding the Hear The Watchmen, March conference in Dallas. How many names does Brother Mike have, exactly? Hagmann says one, but Wells says more than one. They do not mention that the name of the organizer of this conference is Mike Kerr, who on his Facebook page and elsewhere referred to himself as Mike Whitestone. Apparently he has been known to use the Moore name of his wife, Jeannie Moore. The Facebook name Mike Whitestone later added a reference to the name Mike Kerr, after this question of his legal identity was questioned. Nathan Leal was cross with Ted Broer. I had listened to the audio explaining why Leal had resigned from the conference, and I do not find the word cross (as meaning angry) to be descriptive of the concerns which Leal reluctantly identified in great detail, regarding the co-mingling of New Age ideas with a Christian gospel. Mike has a credibility problem with regard to his past which should be overlooked. Hagmann says that the source of Mike’s problems with the Orange County publications (which wrote scathing reports on Mike Kerr’s handling of large scale events to benefit Veterans), arose because of retribution from ex-spouses and others. However, these reports quoted others who had worked with Kerr, who found that he did not display integrity. As usual, the excuse is that this was “before he was saved”, overlooking the fact that many pagans do not display a lack of integrity in those same situations. Whenever anyone has shown a lack of integrity in the managing of events involving money, it is better that they find a new line of work, whether they be saved or not. This continual excusing of crooked individuals, whether it be Mike Kerr or a religious charlatan such as Jim Bakker, always seems to bring a reproach against the name of Christ. Hagmann says he asked the conference organizers if they had “oversight”? Mike Kerr said yes, but there is no name mentioned of the person/s who have this responsibility. The idea that Mike could clear his past reputation by holding an expensive Christian conference is nonsense. If such a motive did in fact exist, it would have been publicized in the very beginning. This cover story would seem to have been concocted for this Caravan To Midnight show. Let me remind the reader, that there is great profit to be made in large scale conferences, even though it was publicized as being a non-profit event. Most of these so called non-profit events include large salaries for the conference organizers. Had this event gone as planned with 1,000 persons attending, paying $100-105 per ticket, the revenues for a three day period would be about $100,000-105,000. Subtract the expenses involved in renting a hotel conference room, speaker’s fees and expenses, and miscellaneous costs, the remainder goes into the pocket of the organizer. Recall that a separate Go-Fund-me account for $100,000 had been set up to accept donations to bring vets to the conference. Since there was adverse publicity, it appears that most tickets have probably been discounted by $50 as shown on the Toffee website, and also John B. Wells show. If this is the case, then revenues would have dropped to $50,000 if all 1,000 tickets were sold. Mike threatened Nathan Leal with a lawsuit for lost revenues, and it appears that Hagmann and Dave Hodges also threatened Leal with fair use of their radio show audios. The facts concerning Mike Kerr were weaponized by those whose motives were their own personal gain and their love of exacerbating controversy. Such people are not excused by saying they are protecting the flock. While the truth about Mike Kerr’s character had been covered up by himself and others, when the facts came out for the potential conference attendees to consider, Hagmann says that wrong motives caused this information to be weaponized. In reading the articles which brought forth this information, it would appear that the writer was distressed over having to be placed in such an awkward position. Many of the comments on websites and forums reveal that the writers were also disturbed by this information, but were also ready to overlook this matter if true repentance were displayed. I am not aware of a time in which Hagmann has ever revealed “the vile and vicious contents of the emails” he purportedly received. Given that his own character has been in question for so long, as to the integrity of the information which he reports, I cannot trust his word on this matter. He still says in this audio, “Trust me”, but fails to consider the number of false government and financial insiders which he has deceived his listeners with over the last few years. How charitable is it to rail against persons who are professing Christians, and declare that you would rather interview the inmates at Attica and Rikers, who are probably in prison for heinous crimes? Until those men who merchandise the name of Christ for their own personal gain repent, and start to consider the Scriptural underpinnings of their own sins, it would seem wise that those who profess to love Jesus Christ and his words, reconsider their support and encouragement of such enterprises.